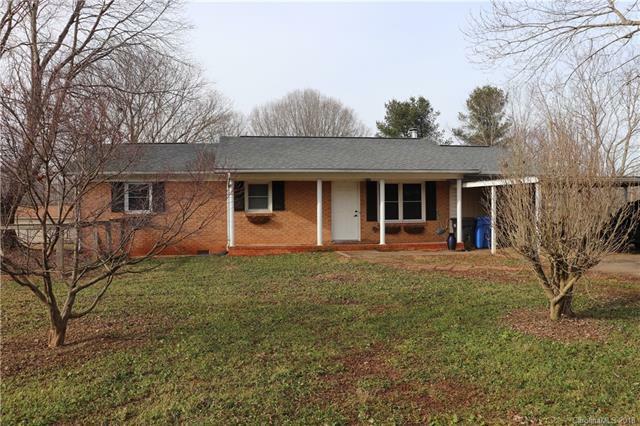 Brick ranch in West Iredell with 3 bedrooms, 1.5 bathrooms, and a bonus room with wood burning stove. The main living area has an open concept feel. The kitchen is spacious with a gas range and large island. The fenced in backyard is perfect for entertaining. A detached 24'x16' 2 story finished building to the rear has its own electrical meter, a window unit for AC, and would be ideal for an in-law suite, artist's studio, workshop, or office. There are two additional buildings for extra storage. New roof 2016, HVAC in 2015.